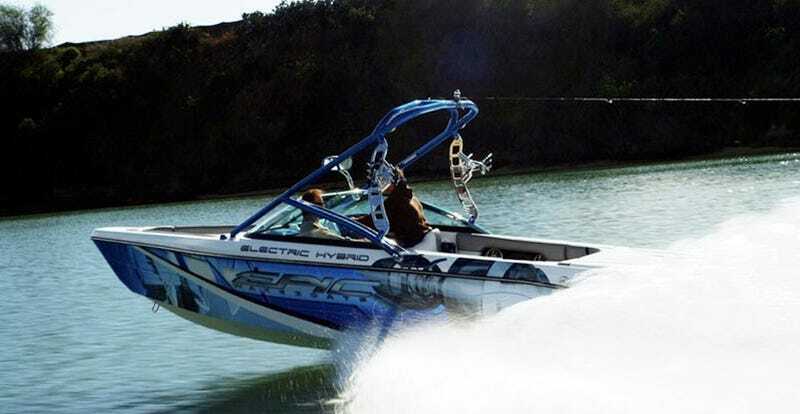 For as little as $150,000, you too can own the first-generation of the plug-in, battery-powered equivalent of a 375-horsepower motorboating experience, which uses the auspiciously named Flux Propulsion EVO 8.1 Marine Drive System to recharge itself over a four-hour run via gas motor. In all, it uses just half what a similarly beefed-up powerboat would use to pull skiers and wakeboarders and let's not forget fat, drunk tubers. If you're a bit strapped for cash, wait till 2012, when AutoblogGreen reports there may well be a $70,000 version.